Special holidays and certain times of the year start to become tradition for visiting the nation’s oldest city. 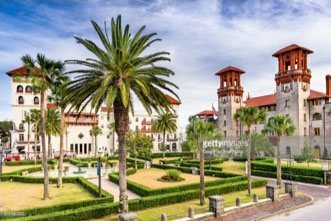 Once a best-kept secret, St. Augustine has grown in popularity! 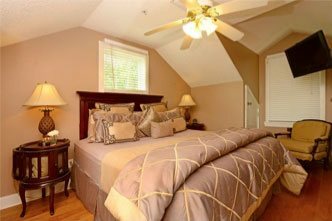 Finding that one special place conveniently-located nearby all the historic attractions, beaches, shopping and fabulous restaurants is also becoming priority! Here we are located just in between St. Augustine’s historic bayfront and popular St. George Street Pedestrian Mall just waiting to welcome you like family! 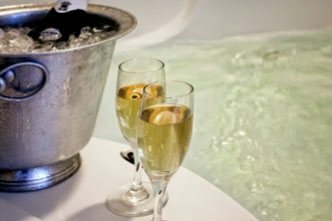 Whether you have the desire to socialize with others or spend your days and evenings quietly, we have just what it takes to accommodate every guest. Located on little cobblestone Cuna Street, we are neighbors to one of the most fabulous restaurants in the area, Micheael’s Tasting Room and just around the corner from the old fashioned ice cream parlor -Teddi’s. Also something to note especially with the upcoming Sweetheart Day, we are located on the same street some fantastic wine tasting and carriage tours that may just suit well with your plans and the unforgettable St. Augustine evening you’ve been longing for. That’s right! TASTE the difference as you TOUR ST. AUGUSTINE! Experience one of the highest rated food tour companies in Florida just a few doors down from us! As seen in Travel and Leisure Magazine, The Tasting Tours is ranked #1 for the best activities to do in St. Augustine! 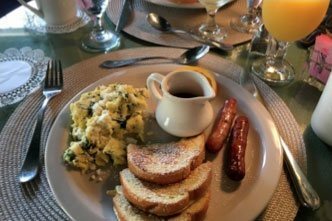 This company offers award-winning food and wine tasting tours that explore the exciting history, culture and food that makes St. Augustine a top culinary destination. ~ VITTLES AND VINO VIP CARRIAGE TOUR – 3 hour food and wine tasting extravaganza via horse drawn carriage! All inclusive with wine on the carriage as well! Available Saturday and Sunday at 2 pm. ~ CORKS and FORKS WALKING TOUR– Stroll the brick lined streets on this 3 hour food and wine tour. Come hungry! All inclusive. Available 7 days at 1 pm and 5:30 pm on select days. ~ WINE, DINE & ROADSTER TOUR – Join us for 3 hour food and wine tour – escorted around our historic city on ‘Roxanne’. It’s a rollin’ event for the taste buds! Available Friday, Saturday and Sunday at 2:00 and/or 3:00 pm. *Try our Sunday ‘BRUNCH’ version as well at 10:30 am! ~ BARREL and KEGS WALKING TOUR– 2.5 hour wine or beer lovers tour. Available Friday and Saturday at 5:30 pm. *Try our ‘haunted’ version as well at 8:30 pm! *We also offer romantic carriages rides for TWO with wine! Eat. Drink. Experience with The Tasting Tours! Awarded the ‘Certificate of Excellence’ from TripAdvisor for 2011 – 2016, this is an experience you won’t want to miss this Valentine’s Day in St Augustine!